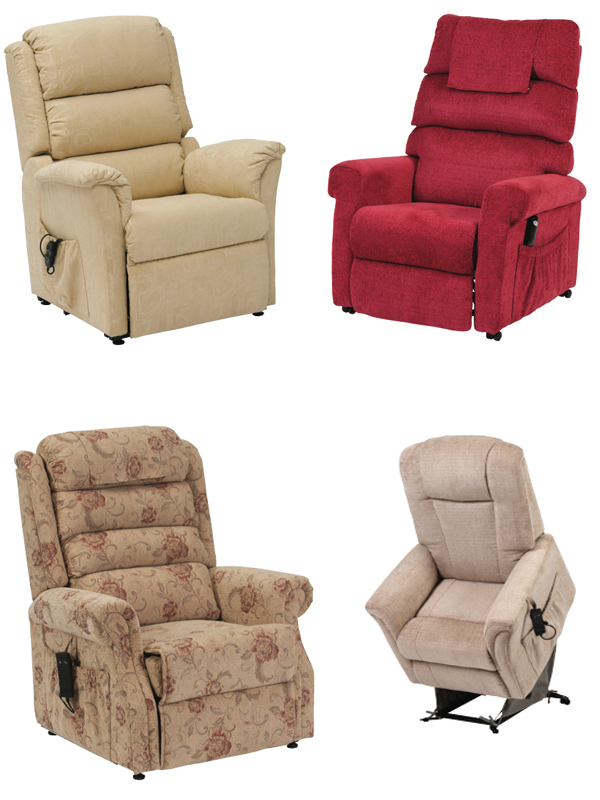 There are a wide range of rise recline armchairs available on the market, but here at adaptive services we only sell from a British supplier so that we can offer a full and comprehensive back up and after care service to our customers. You may find cheaper chairs elsewhere on the internet but these are usually from a source outside of the uk and parts for ongoing repairs are sometimes hard to source and can prove costly. Our chairs come in varying colours, fabric types and with a choice of controls. We offer both electric and manually operated chairs. Electric recliners are by far the most popular and over a smooth and quite operation for the occupant, whilst the rise function makes sitting & standing to and from the chair much easier & more comfortable for those with reduced mobility and joint pain. Why not come into our showroom or just call and speak to one of our friendly team so that we can find out your exact requirements and help you choose the chair that is perfect for your needs.